New Delhi: A parliamentary panel has asked the health ministry to urgently address the issue of manpower shortage at AIIMS-New Delhi, without which, it said, the expansion of the institute to other states would be futile as patients will not get proper medical facilities. The committee on subordinate legislation on rules/regulations framed under AIIMS Act, 1956 expressed disappointment over the submission of the government that there are 245 vacancies in the faculty and 2,025 vacancies in the non-faculty staff strength of All India Institute Of Medical Sciences, New Delhi. There are 1,303 vacancies in the faculty of six new AIIMS established in various states of the country. The committee is of the view that the premier medical institute has to have sufficient and most-efficient manpower. Stating that the huge shortage of non-faculty staff reflects the “flawed recruitment policy” of the institute, the committee in its report asked the health ministry to formulate a personnel policy covering optimum staff ratio, more so, with the coming up of new AIIMS. “The issue of manpower shortage in AIIMS be addressed urgently, otherwise the expansion of AIIMS would be futile because in the absence of good doctors and staff, the patients will not get proper and timely medical facilities,” the report said. The committee recommended that a comprehensive study be done to address the cause of non-availability of doctors of high standards, may it be brain drain, comparatively lesser remunerations, facilities or shortage of undergraduate/post-graduate seats and colleges to address the issue for all times to come. 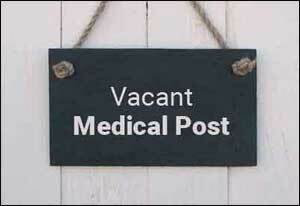 The committee, however, noted that off late AIIMS has given focus on filling up vacancies in the past one year. As a result 300 additional faculty members and 1,000 nurses have been recruited in AIIMS, New Delhi, and 301 faculty positions filled up in six new AIIMS. The committee, also, noted that in order to address the shortage of doctors, measures such as increasing the upper age limit for the post of professor and additional professor in six new AIIMS and contractual appointment of faculty to overcome the shortage of faculty have been taken. The panel recommended that all-pervasive efforts be made to plug-in the shortage of staff both at the faculty and non-faculty levels and the vacant posts should be filled up on permanent basis. The committee said it was appalled at the “tardy” progress for comprehensive review of AIIMS regulations which forms the backbone of overall functioning of the institute. As a result, the review process which was initiated in 2006 has remained incomplete even after a lapse of 11 years. In the opinion of the committee, bringing out necessary amendments in the rules and regulations is an ongoing feature of good governance. “Moreover with the increase in number of AIIMS to six and the plan to make the number 12, the review of the rules and regulations is urgently required,” it said. The ministry has replied that the suggestions of Balram Airan Committee were reviewed in December 2017, by the Governing Body, which proposed amendments to the report. “These have been incorporated in the revised rules and regulations which are ending approval of the Governing Body minutes,” the ministry said in its reply as per the report. 3.doctors salaries are high in developed countries vs non-doctors in their respective countries.while in India, doctors salaries are very low vs non-doctors in spite they are trained extensively upto 35 years of age. 4.in non-doctors group,they become assistant professors @22 to 25 age while in doctors profession,they become assistant professor @30 to 35 years age for MD/MS while in super speciality fields,they can become assistant professors at 35 +age only. 5.while engineers at 35 age earn rs 3L per month,doctors may begin their career at this age. 6.while in all developed countries,resident doctors get full salary while in India, they get peanuts. 7.in developed countries,there is no tuition fees and such other fees for resident doctors,in India, they have to pay huge fees even in govt colleges/hospitals.